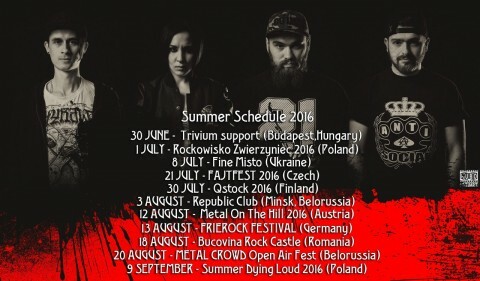 The Ukrainian metal band Jinjer shared "King of Everything" album preview. The release of the band’s third record is to be held on July 27 via the Austrian label Napalm Records. Earlier, the musicians have presented two music videos for the upcoming album’s songs "Words Of Wisdom" and "Sit Stay Roll Over". Read Noizr Zine’s interview with Jinjer: "If a band is limited to perform only in Ukraine, it is a direct way to the grave"